Eric Rolph is a Colorado-based wedding and portrait photographer specializing in environmental photography that blends a travel photojournalist style with a classical fine-art look. Delivering premium services to clients by shooting only a small number of weddings each year; Hawaii photographer Eric Rolph crafts images that reveal the rare, authentic and enduring qualities of your many great moments. 16 years of experience. I believe that exceptional photographs reveal the rare, authentic and enduring qualities of genuine emotional experiences. A safe, comfortable and relaxed photo shoot with lots of engagement where one can be their self, share a connection and have fun is important to my work. Photographs that last the test of time reveal something more than a beautiful image. Enduring and genuinely spectacular photographs come from layers that reveal depth and detail, capturing evocative moments that show people relating to each other and their environment. My passion is to turn those qualities into stunning photography meant to be passed on as vivid visual memories for generations. 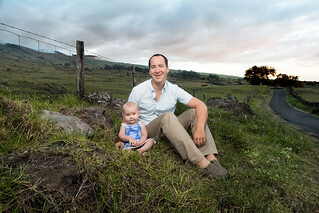 Born from experience as a commercial, documentary and editorial photographer, my work is based on environmental portraiture using a wide field of view along with the latest in portable studio lighting technology to highlight people in the environmental beauty of Hawaii. My technique gives my photographs an expansive three dimensional feeling with gorgeous color tonality — the way colors unify and the quality of light that bathes everything in order to achieve harmony and contrast. In college I studied behavioral ecology, a branch of anthropology, and documentary filmmaking that led to my early career as a photojournalist for a major metro newspaper. This experience gave me a strong sense of story telling and the ability to capture decisive moments. My photojournalism work opened an opportunity to make documentary films with Harvard anthropologists and professors. There I developed a deep respect for cultural perspectives as well as important techniques in documentary photography and lighting. Later, my work was recognized by creative ad agencies and art buyers for my environmental portrait style. My commercial clients range from General Electric and Coca-Cola Corporation to Outside and Sunset Magazine. In shooting advertising and editorial work I developed an evocative lighting and framing technique using gorgeous environments that made my work stand apart from others. And that lead to my first wedding shoot for an art director who wanted extraordinary wedding photographs for his Maui wedding that avoided cliché. It was a complete thrill. I continue to feel that thrill from directing and producing uniquely beautiful wedding, portrait and commercial photography. I live for creative innovation in photography and collaborating with my clients to produce photographs that catch your breath and make your friends crazy jealous. Portraiture, wedding and commercial photography production rates vary. Please call 808-757-9054 or email for a quote now.